Home News BREAKING: Samuel Ogbemudia Is Dead! BREAKING: Samuel Ogbemudia Is Dead! It has just been reported that the former Military Governor of old Bendel State, chief Samuel Osaigbovo Ogbemudia, is dead. He celebrated his 84th birthday last September. The cause of his death was not immediately known, but the Edo political figure was said to have been ill for some time. 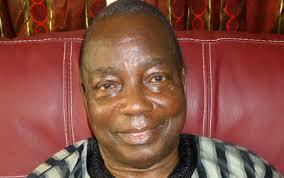 It was gathered that the late Ogbemudia died in Lagos in the early hours of Friday, March 10.